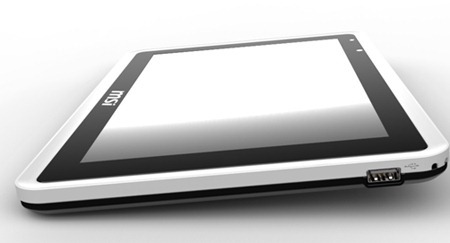 There’s no doubt that 2010 is the year of the tablet, with manufacturers promptly following suit after the release of the iPad. 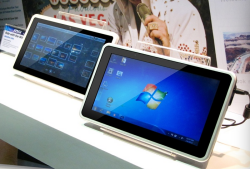 With Computex getting into full swing, there’s no shortage of tablets on the showroom floor, with many of them running Android. 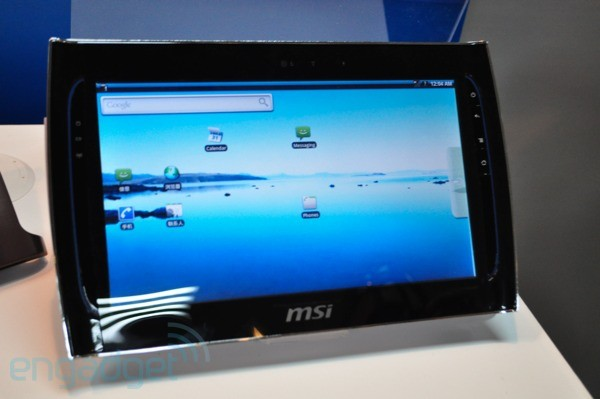 One such tablet is the MSI WindPad 110, which, according to Engadget, is running Android 2.1. Sporting a 10-inch touch screen interface, the WindPad 110 has a glossy, black exterior and is powered by NVIDIA’s Tegra 2 chip, as opposed to many tablets which are running Intel’s Atom processor.